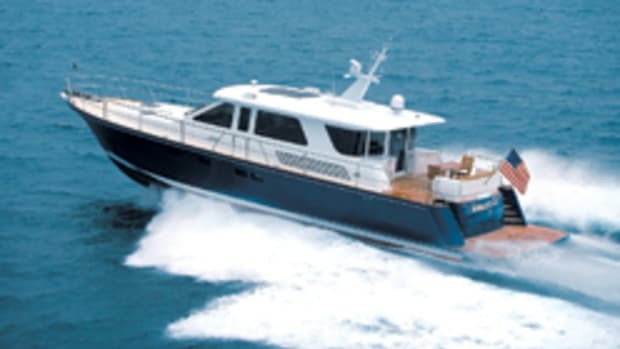 Wisconsin-based Marquis Yachts prides itself on its American-built boats with European style, and the 40 SC seems the epitome of what the company has set out to achieve. The styling is sharp, if a bit futuristic, with everything from the backrest of the bench-style helm chair to the corner moldings on the full-beam, hinged and bi-folding glass doors comprised of rigid angles, as if the interior designers had been inspired by the angles of a honeycomb. 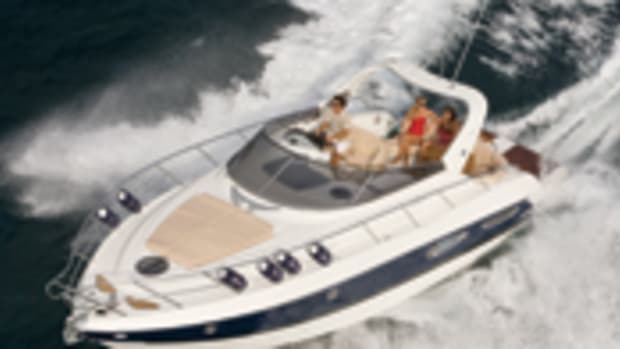 But unlike a beehive, the 40 won&apos;t feel cramped, especially in the saloon, thanks to the open, flowing feeling that results from the combination of the 6&apos;6"x11&apos;3" retractable sunroof and the aforementioned glass doors. Nor will it feel cramped outside. 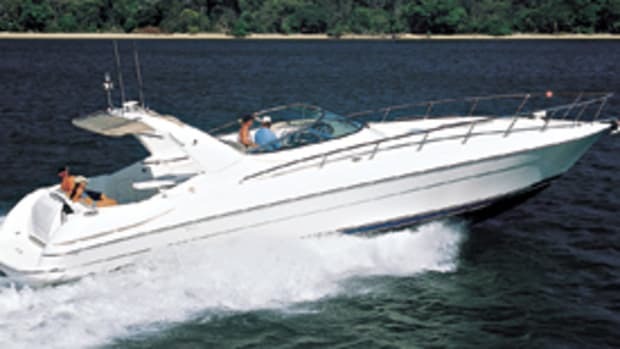 The cockpit holds the real trick feature on the Marquis 40 SC: the sliding transom bulkhead. Just press a button, and the entire aft portion of the cockpit slide back 18 inches, expanding the usable space from approximately 54 square feet to 63 square feet. The swim platform also gets an extension, with a teak overhang that sticks out like a mini pirate&apos;s plank. About 20 square feet of the platform actually rolls aft. 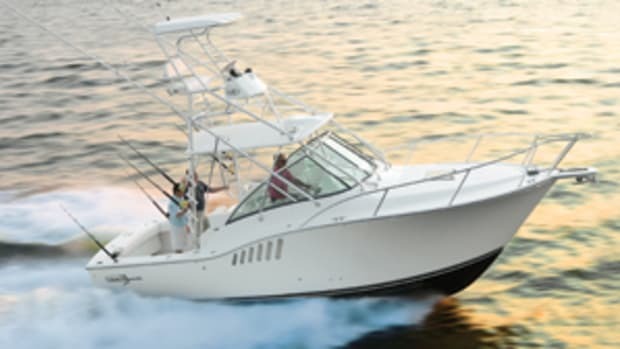 Under the cockpit you&apos;ll find a pair of standard 330-hp Volvo Penta D6 IPS 450s, or you can upgrade to either the 500s, with individual 370-hp yields, or the 600s, each with 435 hp. Marquis claims that any engine option will power the 40 SC to more than 40 mph. Whatever engines you decide on, the engine bulkhead is unaffected, as is the double-berth VIP, which is illuminated by a skylight, and the master stateroom. 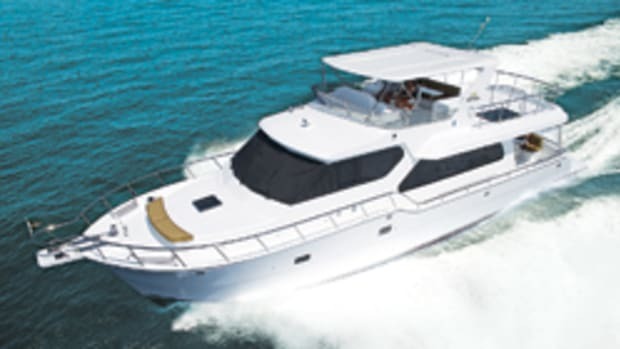 Stowage space should not be a problem, either, since the centerline island queen berth raises on gas-assisted struts for large items, and smaller items can be stashed in any of the many painted stainless steel drawers or in the full-cabin-height hanging lockers. 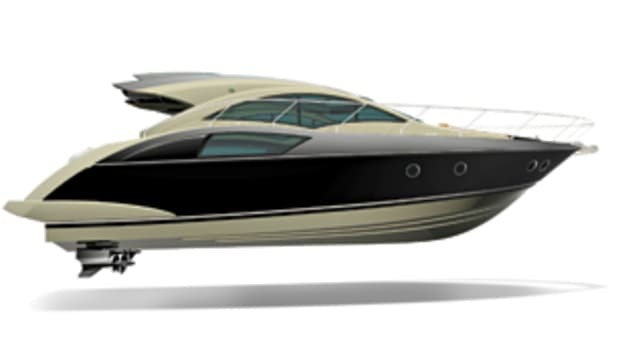 Equipped with a long list of standard features, the Marquis 40 SC carries a base price of $583,995. 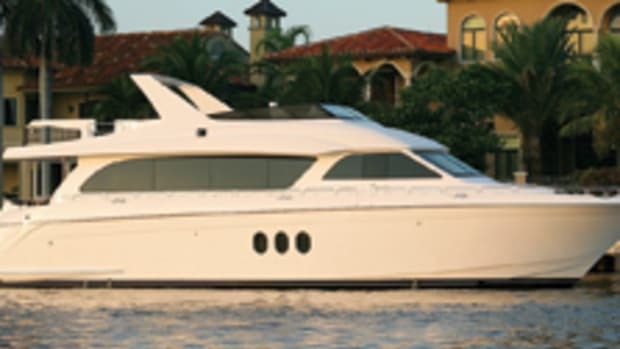 For more information on Marquis Yachts, including contact information, click here. No boat in the world looks like a Wally. 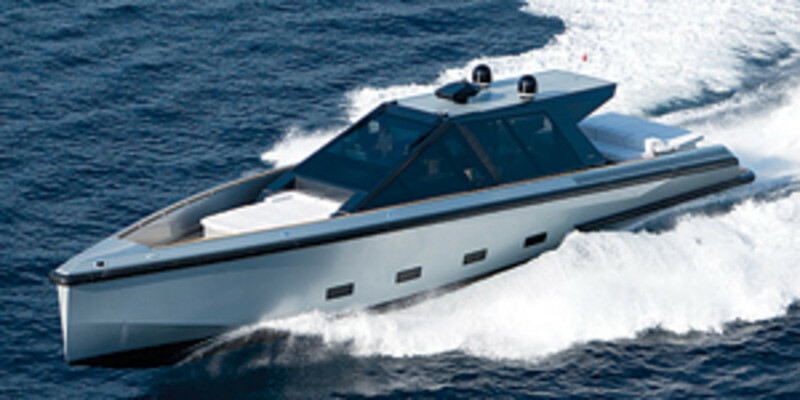 The signature angular hull and deckhouse, sharp bow, and retractable deck hardware of this Monaco design make her look more like the smooth blade of a knife or a stealthy naval vessel than a pleasureboat. 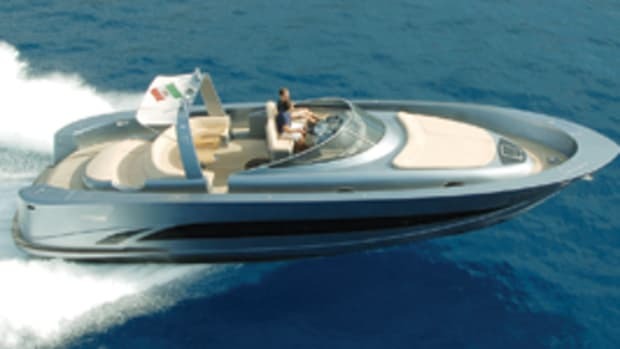 To slice through the water, the 70 WallyPower features KaMeWa A45 jet drives connected to twin 1,520-hp MTU 10V 2000 M93 diesels that provide more than 3,000 total horse power and a purported maximum speed of about 46 mph. 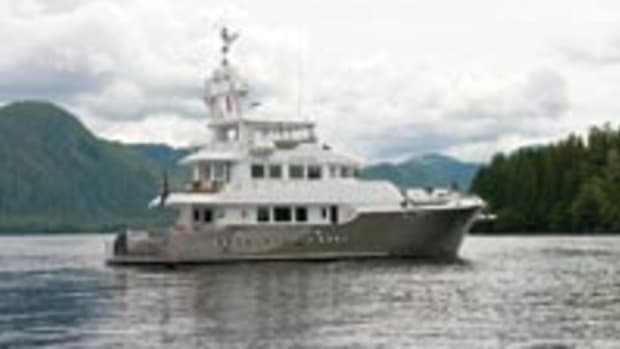 Inside, there&apos;s a massive master stateroom, either a full beam VIP with a centerline queen berth or dual guest staterooms with pairs of twin berths, and a galley complete with integral espresso machine. For more information on Wally, including contact information, click here.